"Just because a mystery is 4,500 years old doesn’t mean it can’t be solved…”, motto of this phenomenal scientific mission launched in October 2015. Organised under the authority of the Egyptian Ministry of Antiquities, the Faculty of Engineering of Cairo and the French HIP Institute (Heritage, Innovation and Preservation) initiated, designed and coordinated the entire effort. Radiographic muons (cosmic particles), infrared thermography, photogrammetry, LiDAR (3D Laser Scanning) will be used to assist in the 3D reconstruction; the most innovative technologies will be used by researchers of international renown and major universities. Four millennia after their construction, these ancient giants are far from having yielded their secrets, especially the Khufu's Pyramid, the largest of the remaining pyramids. With a base of more than 50,000 square meters, it stands at almost 150 meters tall and with a mass of 5 million tons. With a construction duration of approximately 25 years, it is still impossible to describe with certainty how this stone monument was ever erected by humans. The complete internal structure of the pyramids, still remains unknown to the scientific community till this day. However, with the breathtaking speed of advancement in technology, humans are about to reveal the secrets of the ancient world, starting with the pyramids. With the aid of non-destructive technologies, this campaign, supported by the Egyptian authorities, will be entirely dedicated to the advancement of knowledge. In addition to radiographic muons (the same technology invented by the Japanese to see inside active volcanoes as well as the disastrous Fukushima Nuclear Plant), infrared thermography, photogrammetry and LiDAR technology will play a huge part in this ambitious project. 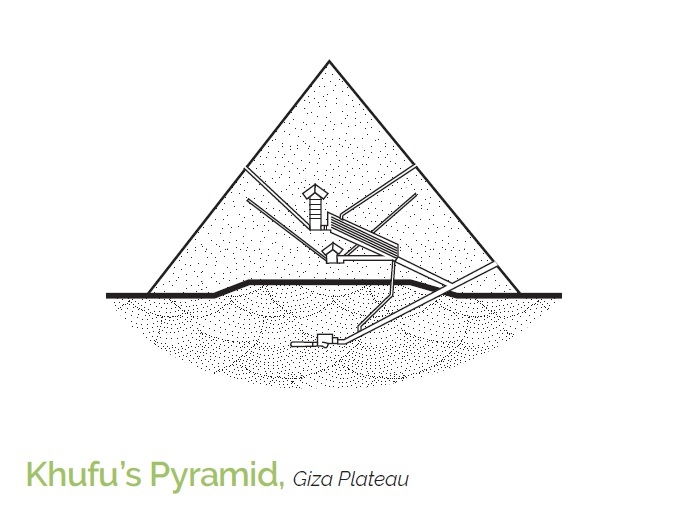 To reconstruct the pyramids in 3D, the team plans to combine the 2 technologies: photogrammetry with drones and LiDAR. With photogrammetry, large amounts of images can be taken using either fixed wings drones or hovering drones, each with differing speeds and accuracies. A computer algorithm developed by the INRIA (the French National Institute for computer science and applied mathematics) will then be applied to the digital model, to give a global interpretation of the sites. 3D Laser scanning will be done on the facade as well as the interior of the pyramids where there are confined spaces and dark areas where photogrammetry is not operative. With the combination of these technologies, the project looks to be presenting its findings by the end of the year. Will the millennium mystery that intrigues archaeologists and Egyptology lovers then be solved? Without a doubt, the team's courage to discuss and confront the theoretical and technological approaches to this archaeological project is noteworthy. Here in Aries Geomatics , we are committed to ensuring heritage sites are available to future generations. The cost to safeguard history is priceless. With the assistance of the 3D Laser Scanning technology, we are now able to capture detailed 3D representations of world’s significant cultural heritage sites before they are lost to natural disasters, destroyed by human aggression or ravaged by the passage of time.